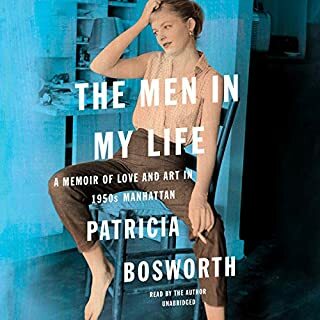 From Patricia Bosworth - acclaimed biographer of Montgomery Clift, Diane Arbus, Marlon Brando, and Jane Fonda - comes a series of vivid confessions about her remarkable journey into womanhood. This deeply felt memoir is the story of a woman who defied repressive 1950s conventions while being shaped by the notable men in her life. Where does The Men in My Life rank among all the audiobooks you’ve listened to so far? What was one of the most memorable moments of The Men in My Life? The author's description of struggling to become a successful actress and how difficult it was despite her determination and talent. What does Patricia Bosworth bring to the story that you wouldn’t experience if you just read the book? Her world-weary voice speaks of the struggles she went through with her family and her career. I did cry at the end because in so many ways it's a sad saga of a typical American family. Much more than a salacious tell-all (and there are lots of famous names in this book), this brave memoir tells the story of an affluent American family that struggles in the ways all families do: sexuality, identity, money and success. The author is absolutely courageous in detailing the mistakes she makes in trying to come to terms with herself as a woman and as an artist. For anyone interested in the process of acting, this would be fascinating. With The Blazing World, internationally best­selling author Siri Hustvedt returns to the New York art world in her most masterful and urgent novel since What I Loved. Hustvedt, who has long been celebrated for her “beguiling, lyrical prose” ( The Sunday Times Books, London), tells the provocative story of the artist Harriet Burden. After years of watching her work ignored or dismissed by critics, Burden conducts an experiment she calls Maskings: She presents her own art behind three male masks, concealing her female identity. What would have made The Blazing World better? This book is probably good in print but it's very cerebral and has a lot of characters so to me doesn't make for a good audio book. In print, which I plan to buy, I will circle things and go back and forth to remind myself what is going on. 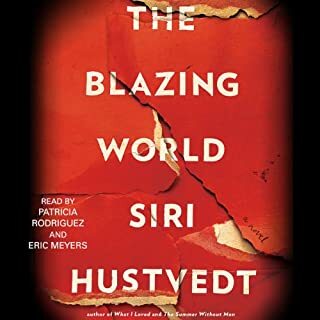 Would you ever listen to anything by Siri Hustvedt again? Oh, I don't know. Nice voice. But the subject is basically self-absorbed so I found myself getting annoyed with "her" and that's not the narrator's fault. Unless you have a lot of time to sit in a chair and just listen, I would avoid this audio book. I tend to listen while driving or working out and it just didn't work. An explosion and fire at the Ashton Gunpowder Mill in Kent has killed over a hundred men. It's called an appalling tragedy - until suspicion and rumor raise the specter of murder. 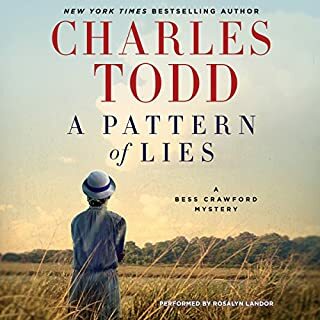 While visiting the Ashton family, Bess Crawford finds herself caught up in a venomous show of hostility that doesn't stop with Philip Ashton's arrest. Indeed, someone is out for blood, and the household is all but under siege. If you could sum up A Pattern of Lies in three words, what would they be? This isn't a traditional who-done-it really but more a story of intrigue and trying to get to the bottom of a baffling case of someone being wrongly accused of a crime. She is a wonderful reader. You honestly wouldn't know that there weren't men and women reading-- she takes on different genders adeptly. Charles Todd books never disappoint. The summer that Nixon resigns, six teenagers at a summer camp for the arts become inseparable. Decades later the bond remains powerful, but so much else has changed. 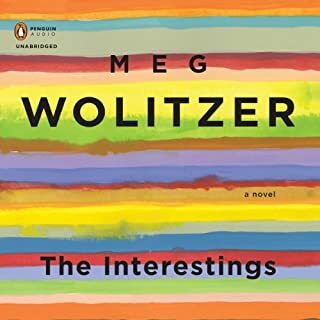 In The Interestings, Wolitzer follows these characters from the height of youth through middle age, as their talents, fortunes, and degrees of satisfaction diverge. The kind of creativity that is rewarded at age 15 is not always enough to propel someone through life at age 30; not everyone can sustain, in adulthood, what seemed so special in adolescence. No. It's a big of a slog getting through this very long book. Meg Wolitzer is a good writer and some of her scenes with virtually just dialogue are quite good. I didn't think the plot was enough to sustain the length of the story, however. Was The Interestings worth the listening time? No, not really. But the reader was very good and I really enjoyed her different intonations and accents. When this book starts, my first inclination was to say "Whoa!" to the reader because she starts out so very fast. But gradually I came to think that the reader was the best thing about the audio book and I kept listening because I enjoyed her more than the story itself. Yes. This book starts out really well with a plot that is clever and insightful. (There's a code to be solved that is very interesting.) The best parts have to do with a character who has autism; he is very well drawn and not based on stereotypes. There's a bipolar mother you want to slap and that, too, is very accurate. I liked everything until the book descended into some Macgyver-like antics toward the end and a climax that was a bit too macho-violent, as opposed to the sensitivity that had been evident up until that point. Great descriptions of Minnesota and Iowa which, as a midwesterner, I appreciated. 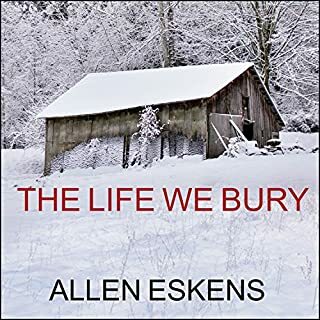 Would you be willing to try another book from Allen Eskens? Why or why not? Was The Life We Bury worth the listening time? There's a scene from Vietnam and some graphic details about a murder victim that would be disturbing for some audiences. But the author shows an impressive grasp of police/legal procedures. Spoiler alert: I was disappointed that the police showed up and saved the day and wanted the protagonist, his girlfriend and brother to get the killer on their own. What would have made Pretty Baby better? I hate to say this about a woman writer, but this book has terrible portrayals of women and that bothered me. You have a neurotic woman pining for a baby, an adolescent who is repeatedly raped, negligent/unsympathetic social workers, and a predatory femme fatale. So I don't know that it could have been made better. 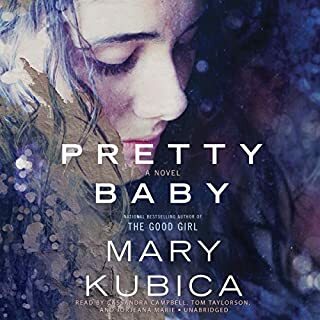 What was most disappointing about Mary Kubica’s story? There are some really bad stereotypes of the foster care system and adoption. The details-- and myths -- about abortion are truly troubling. The whole approach is derivative of "Gone Gone" (alternating viewpoints of husband and wife, unreliable narrators) without the subtlety of Gillian Flynn. You have to take gigantic leaps to believe certain portions. I think they were given a tough job, given the nature of the book. The male was fine; the woman reading the Heidi parts had some incredibly treacly lines to read so I can't fault her performance except to say it was annoying. She should ask someone from Nebraska how Kearney is pronounced. If you could play editor, what scene or scenes would you have cut from Pretty Baby? The whole idea of a teenager taking a bus to Fort Collins, finding a house on foot, and then getting away with what happens in this book begs the question of whether this was vetted at all as a manuscript. Ok. "Gone Girl" was an amazing success but can we move on? At the center of the intrigue is Hollywood star, Frederic Stahl. September 1938. On the eve of the Munich Appeasement, Stahl arrives in Paris, on loan from Warner Brothers to star in a French film. He quickly becomes entangled in the shifting political currents of pre-war Paris - French fascists, German Nazis, and his Hollywood publicists all have their fates tied to him. But members of the clandestine spy world of Paris have a deeper interest in Stahl, sensing a potential asset in a handsome, internationally renowned actor. 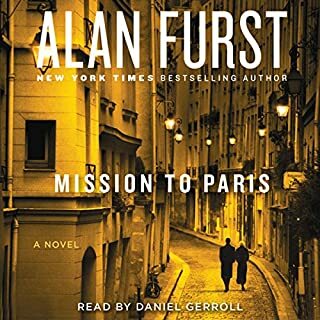 What made the experience of listening to Mission to Paris the most enjoyable? The story unfolds slowly and with our perspective, more than 70 years after the period in which it takes place, a sense of dread builds throughout. The reader is outstanding and really offers a unique voice to each character. And, it isn't clear exactly how things will end until almost the very end. What was one of the most memorable moments of Mission to Paris? The scene in the restaurant when we truly see the casually sinister nature of the Nazis and their sympathizers enjoying their affluence amid the tense environment that surrounds them. What does Daniel Gerroll bring to the story that you wouldn’t experience if you just read the book? The nuances in his voice make you forget (this sounds silly but it's true) that he is actually a male performing both male and female roles. In movie making, evil is not always an illusion.